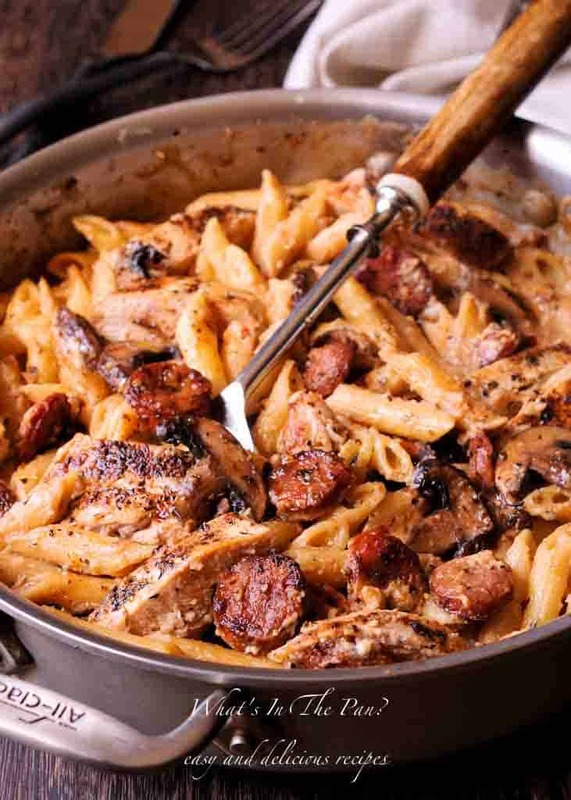 Pasta Archives - What's In The Pan? 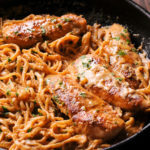 This creamy chicken spaghetti recipe comes together super fast with only 30 minutes of total work and tons of flavor! 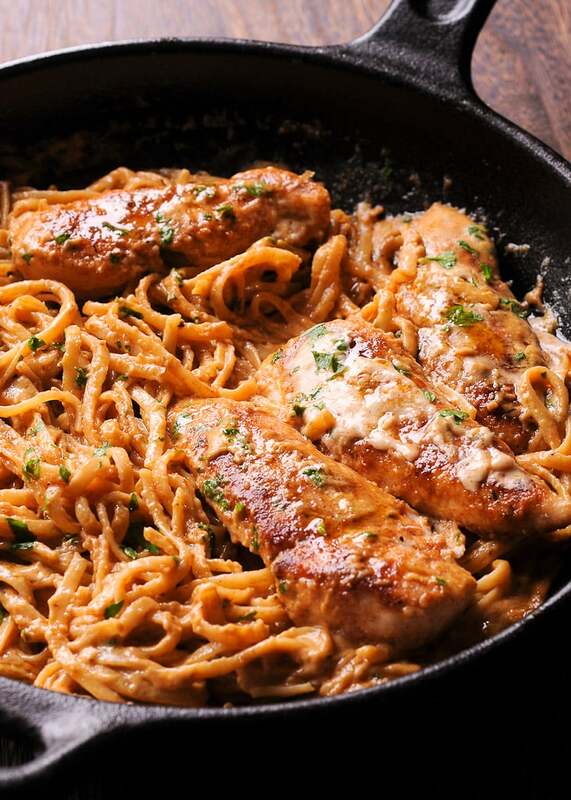 Be prepared to enjoy unbelievably flavorful pan fried chicken, coated in garlic seasoning and delicious wine butter sauce made with Marsala wine in no time and with minimum effort! 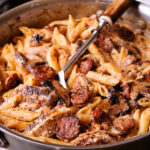 Creamy Cajun Chicken Pasta with Smoked Sausage is a wonderful weeknight one pot pasta dish! 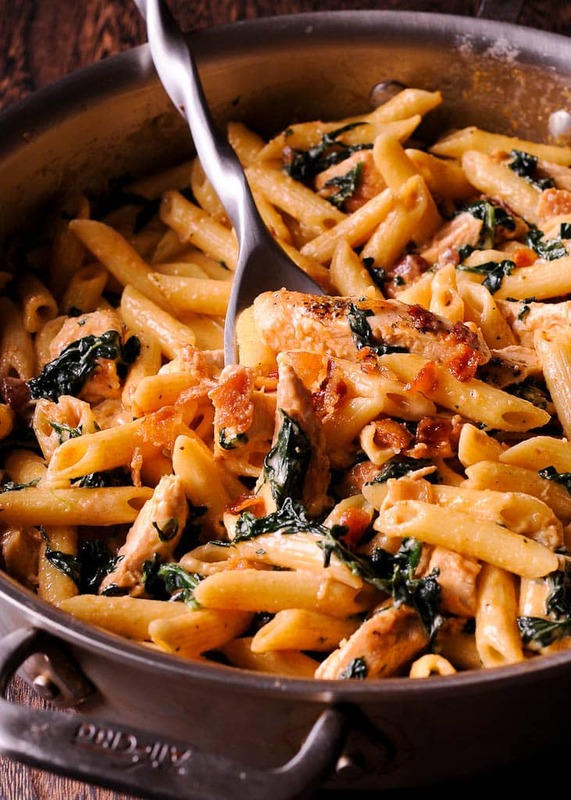 This family favorite pasta recipe comes together in only 30 minutes! 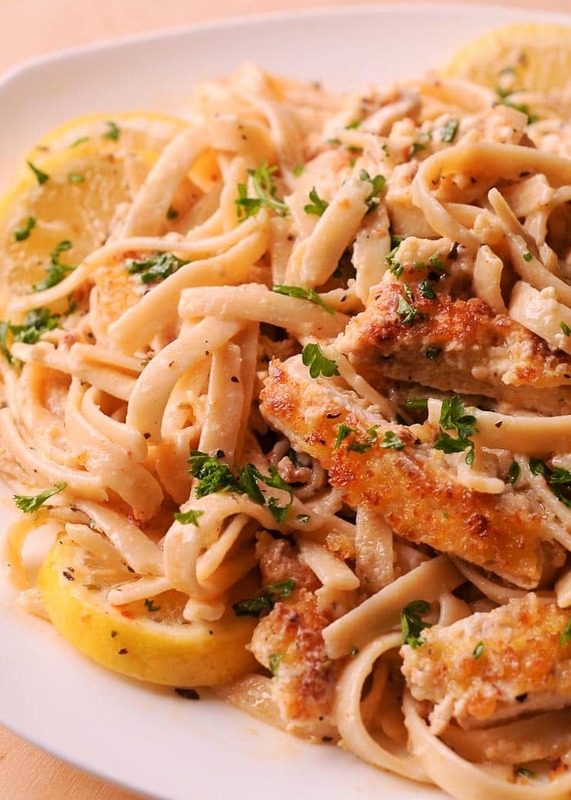 Filed Under: All Recipes, Chicken Recipes, Pasta, Popular now! 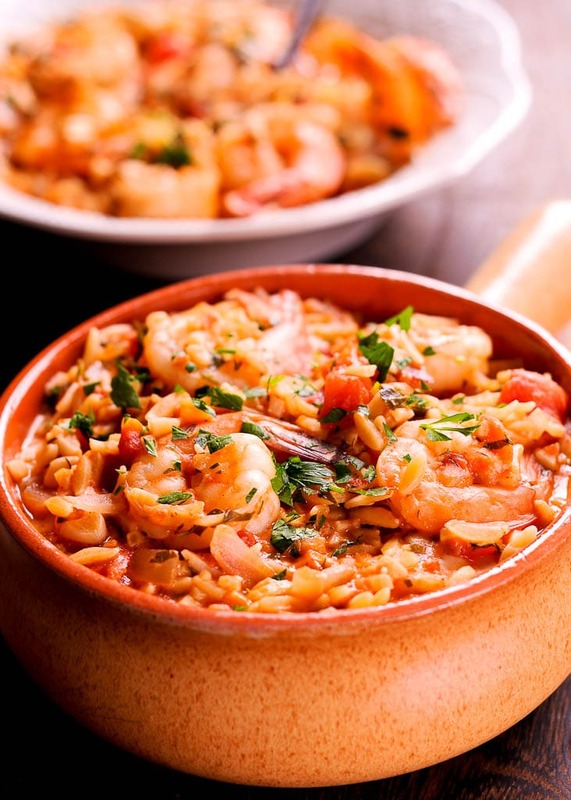 This Instant Pot Orzo with Shrimp, Tomatoes and Feta recipe is the most mouthwatering combination, pressure cooked only for 3 minutes in a rich tomato sauce, fragrant with parsley and dill herbs. 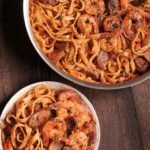 Perfect Mediterranean recipe! Restaurant Style Chicken Chow Mein Noodles comes together quickly and tastes so delicious! 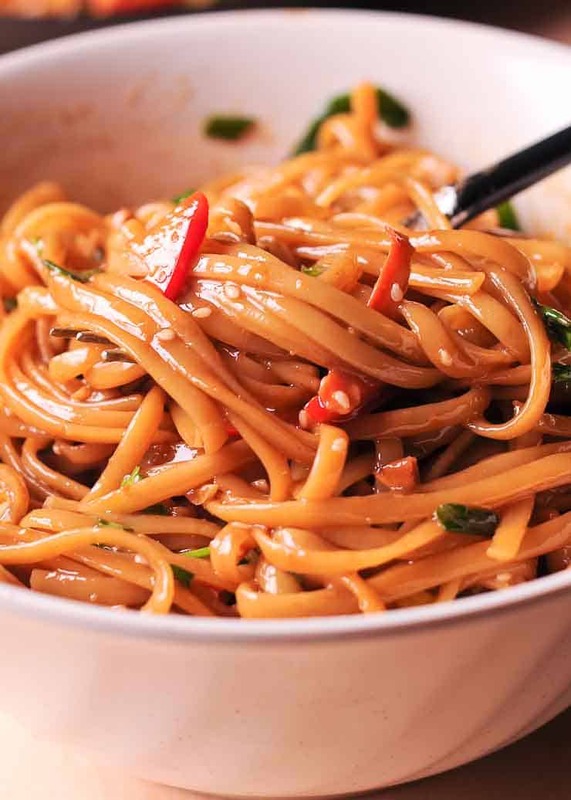 Your favorite stir fry noodles in under 30 minutes. 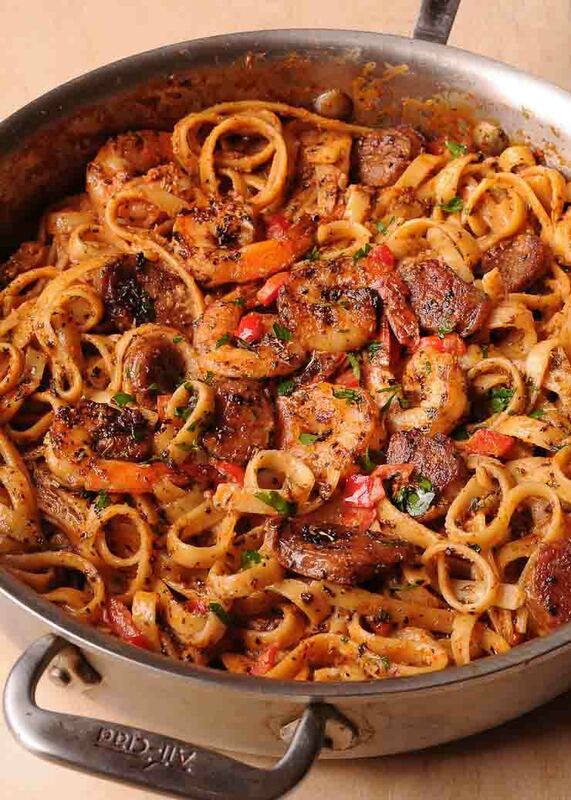 Simple savory sauce, tender noodles and lots of flavor, all in one pot. 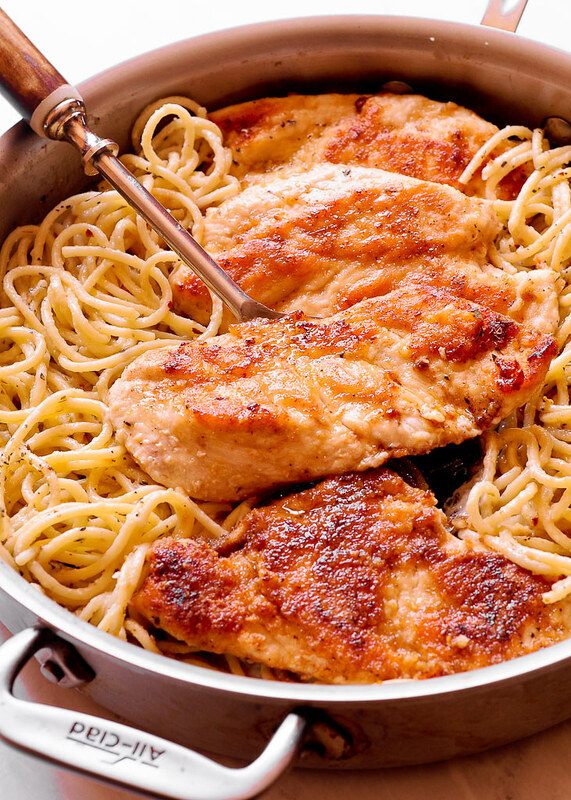 This will become your go to recipe! 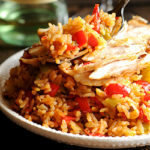 So tasty and easy for busy weeknights!